What About Bob & Marie’s “Sunday Dinner” | Crappy Kitchen - Good Dinners! ← Tortellini with Tuscan Kale & Chicken (serves 4-6) If You Want Something Fast That’s Not Fast Food; This Is It! 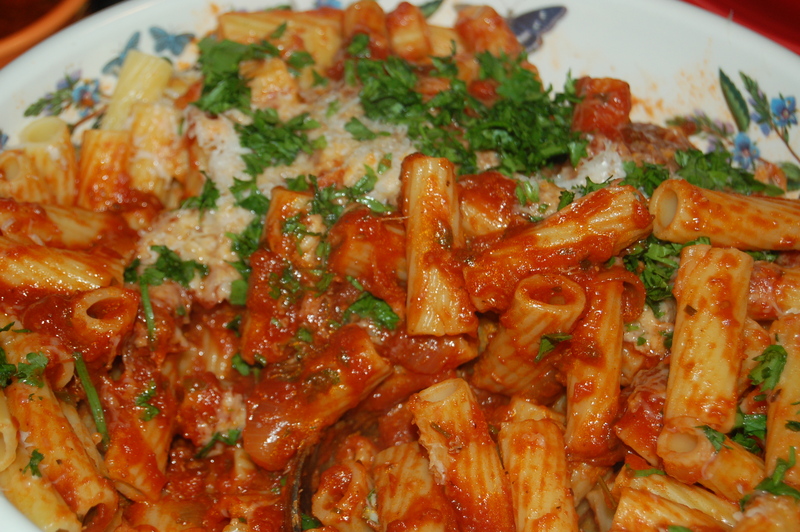 This entry was posted in dinners, Italy and tagged Ireland, Italian food, italian sunday dinner, Italian Sunday gravy, Italy, pasta dinner, pork tenderloin, red sauce, rich red sauce, Rigatoni, sunday Dinner, Sunday gravy. Bookmark the permalink. thanks so much – high praise coming from you! Ha Ha Mimi – I’d love a bowl right now!